I will be keeping my Anomalous Equines - Ku'uaki and Fane are staying with me. 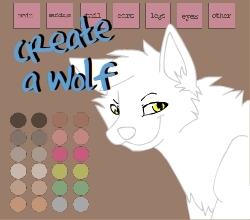 Now onto Furcadia. I'm never going back, period. I'll be honest, the place is either a.) completely dead and boring or b.) a cesspool of adolescent drama. Ain't nobody got time for that, kids. Here's the alts I'm selling if you're one of the brave souls sticking it out. Again, Paypal only. Most of these prices are negotiable, except Godzilla and Vile. I'll slowly be moving there. Watch me if you want to; if not, that's fine too. Huh, that's a really cool critter. I like it. Sure! Hello, I used to be !BobTodd (Middlesboogie on Oddworld Forums). I made a new account just for lurking! I missed a few people from here and didn't have any means of getting back in touch (I don't use Facebook, no-one is ever on MSN, no-one else uses Twitter, etc.). Thought I'd say hi! Hey hey - glad you let me know. Missed you! I love the horse drawings you do! If you are, I don't know if you remember me. Amusis/Laura T./Shadow Stalked/+9,000 others. Oh hey!!! Yeah, I do remember you. <3 It's hilarious - I can't remember people I went to college with, but I seem to always remember my friends from Furcadia, lol.